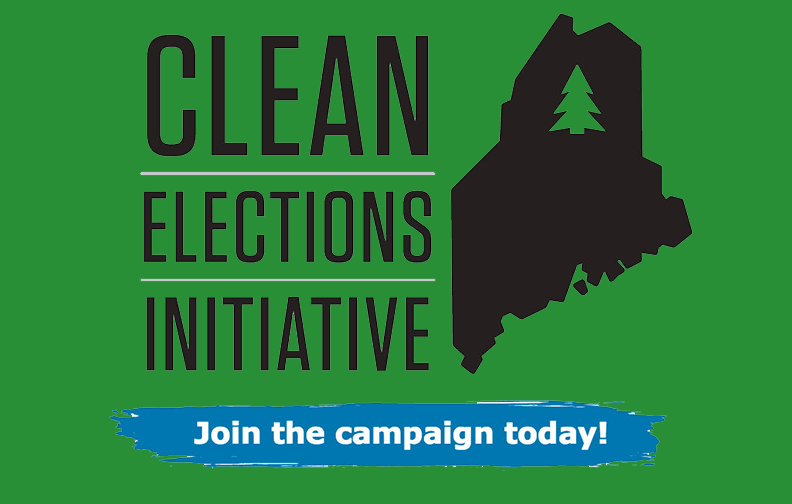 As the people of Maine discovered, the road to reform can be rutted, bumpy, and plagued by detours, but grit, common sense and a determination to keep elections, clean, honest and hewing to local values enabled the Pine Tree State to become the first in the nation to enact a Clean Elections public funding program for state elections back in 1996. Starting with the 2000 elections, Maine’s public funding law has been operating effectively, giving most political candidates an attractive alternative to the exhausting, time-consuming process of raising their own campaign war-chests and having to rely on special interest money. Over nine election cycles, an average of close to 70% of candidates for statewide offices and the legislature have participated. Maine’s experience offers valuable lessons for citizen activists and public interest groups elsewhere that are seeking ways to reduce the power of billionaire and corporate donors, in seeing how to enact reforms, how to make them work, and how to jockey your way around the obstacles, even those thrown in your way by the U.S. Supreme Court. Like many other small, largely rural states, Maine has a long tradition of representative government that stays close to voters and of legislators who are readily accessible to average citizens. But even in a state such as Maine with a reputation for clean government, voters had grown worried by the early 1990s at the growing and potentially undue influence of special interest money on the political process. Maine’s Clean Election Act had its genesis in that period, when the Maine Citizen Leadership Fund began tracing the sources of campaign money. The movement gained momentum in 1994, after conservative Republicans took over the state senate in an expensive election bankrolled by a conspicuous number of corporations and wealthy donors. “That opened a lot of people’s eyes to the problem of money,” says George Christie, an architect of Maine’s reform. The following year, Maine voters expressed their displeasure by passing term limits on legislators. 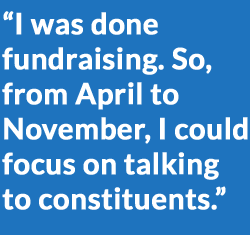 With advice from the Northeast Action’s Money and Politics Project, Christie and other organizers sought a broader, more enduring solution than term limits. They formed the Dirigo Alliance, a coalition of 14 progressive groups whose original aim was to strengthen progressive candidate recruitment. But as participants saw how special interests were able to thwart even incremental reforms, the group began to focus on campaign finance reform as the most essential needed change. “We wanted reform that would get money out of the system, put grass roots back in, pass at the ballot box, and stand up to the Supreme Court’s Buckley v. Valeo decision,” recalled Christie, who headed the Dirigo Alliance. 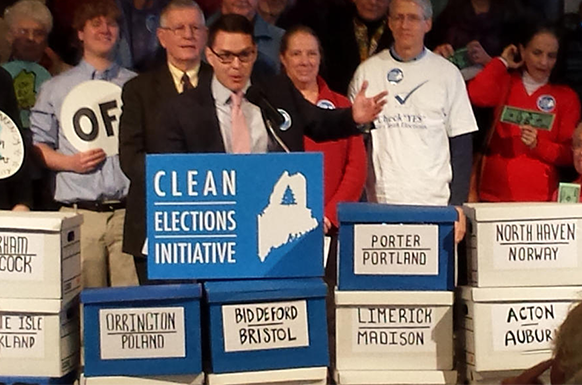 In 1995, a group of organizations and concerned citizens came together with that goal in mind – to break the ties between wealthy special interests and Maine’s elected officials. Their first critical step was to organize a broad, deep coalition to advocate for public financing of political campaigns. They formed the Maine Citizen Leadership Fund, which brought together a coalition of grass roots organizations that included many diverse forces – the Dirigo Alliance, renamed the Maine People’s Alliance, the League of Women Voters, Maine Common Cause, Maine AFL-CIO, Maine AARP, Maine Council of Senior Citizens and Peace Action Maine. Reckoning they had a better chance of achieving reform through a popular vote than trying to get a reform bill through the state legislature, whose members had won office through privately funded campaigns, the Maine Citizen Leadership Fund decided to push for a voter referendum. To win passage, building bi-partisan support was essential. Key early support came from a group of Democratic and Republican legislators. A broad campaign to educate voters was funded by the Ford Foundation and other national foundations; by Public Campaign, a national organization that specializes in promoting public financing of campaigns; and by some individual donors who wanted to break away from the traditional campaign finance system. The Clean Elections referendum passed by a vote of 54% to 46% in November 1996. Then, the big question was: Will candidates for governor, lieutenant governor, attorney general and the state legislature take part and use the public funding? 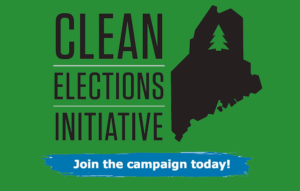 In its first outing, in the election of 2000, the Maine Clean Election Act proved that it had strong pull – half the Senate and 30% of the House was elected with public funding and no special interest money. In 2002, those numbers rose to 77% of the Senate and 55% of the House. By 2008, participation hit a peak – 81% of the candidates for the legislature used public funding. But then the Maine system was undercut by two U.S. Supreme Court decisions – Citizens United that allowed unlimited corporate campaign funds and a 2011 decision that outlawed a provision in Arizona’s public funding system that gave publicly funded candidates a second grant of “matching funds” if they were outspent by privately funded candidates. Maine had a similar provision. After those two decisions, Maine saw a sharp increase in private funding of campaigns – a five-fold jump from 2008 to 2012 – and a decline in participation to 58% in the 2014 election cycle. 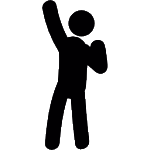 Once again, reformers rallied to repair and strengthen the public funding system. Mainers for Accountable elections collected more than 70,000 signatures to put a new reform measure on the ballot in November 2015. By a 55% majority, Maine voters enacted a law increasing public funding for gubernatorial candidates from $1 million to $3.2 million and roughly tripled the stipends for legislative candidates. It created a new way for publicly funded candidates to get a second tranche of funding. It imposed tough conditions on disclosure – requiring some outside groups to list their top funders on all political ads; making governors-elect disclose who helped fund their inaugural celebrations (a favorite project of lobbyists); It closed a corporate tax loophole to help provide financing for the Clean Elections system and it set stiffer fines and penalties for campaign finance violations. In short, the Maine electorate not only stood behind but reinforced the state’s system of public funding, which has become the prevailing norm among state politicians. Many candidates now openly admit how much they disliked the old chase for campaign cash that consumed so much of their time and resources. The public option, they say, gives them more time and opportunity to focus on issues. Many in Maine see an impact on public policy. Freed from ties to moneyed interests, legislators enact policies that respond to concerns of ordinmary voters rather than to deep-pocketed donors. Maine’s Dirigo Health Program, enacted in 2003, is the closest any state has come to enacting universal health care. State Representative Marilyn Canavan credits public funding for freeing up legislators.“I doubt that this bill would ever have seen the light of day under business-as-usual politics dominated by special interest groups,” she says. “Instead, we took on the health care industry and insurance companies and adopted a health care plan that serves the people. But the Maine program began to run low on money after the legislature raided its financial reserves for $12 million to fund other state programs and after the lawmakers got into in a prolonged stalemate over a drafting error in refunding bill for Maine Clean Elections. Then Gov. Paul LePage, a pro-Trump conservative Republican and fierce opponent of public funding of elections, saw an opportunity to cripple the embattled program during the 2018 election cycle. Nearing the end of his second term, Gov. 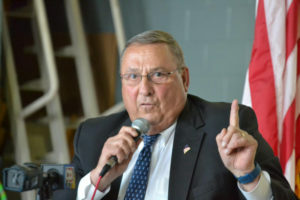 LePage refused to sign financial orders authorizing payment $1.4 million to qualified candidates by the Maine Ethics Commission, which runs the Clean Elections program. Of those funds, $100,00 was slated for Republican candidates and $1.3 million for Democratic candidates. Backers of the program, led by Maine’s Clean Elections popular movement, filed suit to force LePage to carry out the law. On August 2,they won ”a Superior Court a favorable ruling from Superior Court Judge William Stokes that the funds must be disbursed within 72 hours. While Maine and Arizona used a popular referendum as the vehicle to achieve reform, Connecticut’s public financing system was actually written into law by the state legislature and signed by the governor. But it took a high-profile campaign scandal to force the state’s elected officials to adopt reform. While the scandals under the Rowland administration certainly helped focus attention on the need for fundamental reforms, the new public financing system would not have been enacted without the concerted efforts of a broad and diverse coalition of citizen activist groups, similar to the popular movement in Maine. 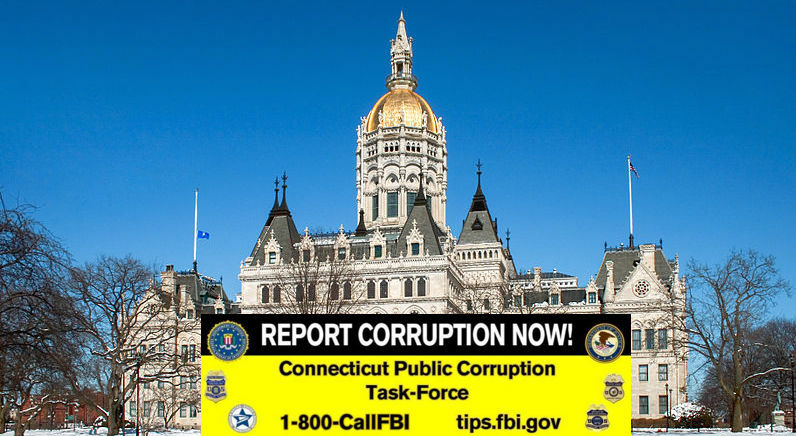 Faced both with grass roots voter pressure and the need to mend Connecticut’s corrupt image, the state legislature approved sweeping campaign finance reforms in 2005, including a voluntary program of publicly financed elections. The reforms were signed into law by Republican Governor Jodi Rell and public funding took effect during the 2008 election cycle. In addition to creating citizen-funded elections, Connecticut’s Comprehensive Campaign Reform Act of 2005 banned lobbyists and state contractors from contributing to or soliciting contributions for most political campaign committees and ended their ability to circumvent contribution limits by purchasing advertising space in campaign fundraising programs. The new law also limited the size of contributions from state employees to candidates seeking higher office in departments where they worked and it tightened up PAC regulations and other contribution limits. Connecticut’s public financing system is voluntary and in several successive elections the overwhelming majority of candidates from both parties have opted in. In 2014, for example, both the Republican and Democratic candidates for governor and all the winning candidates for the six major statewide offices used the public funding system. So did 83.4% of the candidates from both parties who won seats in the state senate and the general assembly. By forcing candidates to raise an initial batch of small donations from individual voters to qualify for public funding, the new system has pushed candidates to interact more with voters rather than relying on lobbyists and special interests for campaign money. “Now, you’re getting it from the people and hearing what they want and not from special interests,” said Republican Al Adimolfi. Others contend that reform has enabled legislative debates to focus more on the substance of issues rather than being stymied by roadblocks engineered by lobbyists. “It’s amazing how easy it was to get legislators to interpose silly objections to sound legislation when money was thrown around by corporate lobbyists during the session,” said one former legislator. Overall, Connecticut’s experience shows that public funding has made it possible for a more diverse group of candidates to run, given average voters more choice and more say in elections, and changed the emphasis of election campaigns from being money-driven to being issue-focused.